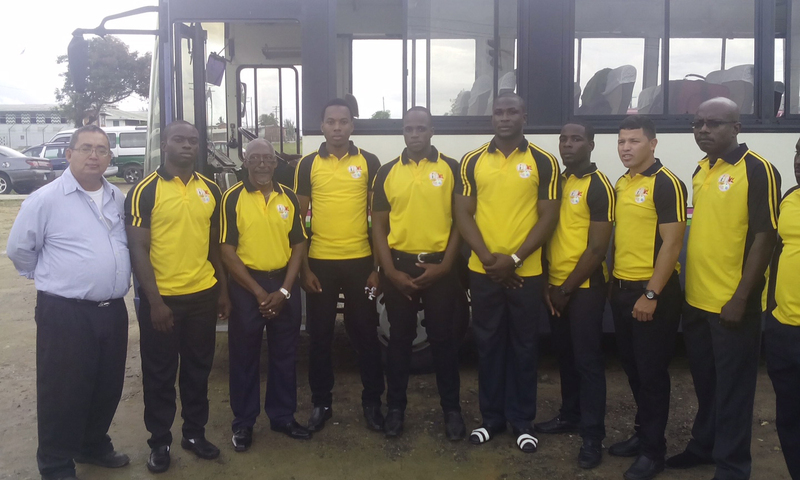 The national men’s 7s rugby team departed yesterday for Toronto, Canada ahead of the two-day rugby segment of the Pan American Championship which kicks off on July 10. Their mission: to iron out some of the wrinkles they encountered during a below par showing at last month’s NACRA Championships and Olympic Qualifiers in Cary, North Carolina. 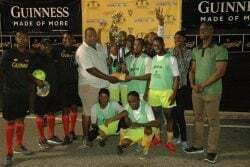 “There must be a reduction in the margin of defeat,” said Head Coach of the ‘Green Machine’, Theo Henry last week. Some members of the national 7s rugby squad along with president of the GRFU, Peter Green pose for a photo opportunity prior to departure to Toronto, Canada. The outfit will look to iron out some of the wrinkles they encountered during a below par showing at last month’s NACRA Championships and Olympic Qualifiers in Cary, North Carolina. 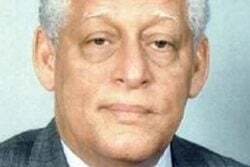 “We will try to clean up the bad areas and make it more competitive,” he had added. For the Pan Am Games, Guyana is drawn in Pool B where they will face Argentina (2nd seed) Canada (3rd seed) and Brazil (6th seed). Pool A consist of the USA (1st seed), Uruguay (4th seed), Chile (5th seed) and Mexico (8th seed). “We are looking for upsets in this group,” Henry declared. “The ultimate goal should be to upset teams in our group. I believe once rugby is at the forefront of their (the players) heads, they will perform excellently,” the Coach-of-the-year opined. 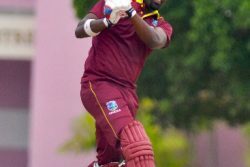 The touring contingent includes:Richard Staglon (Captain), Dwayne Schroeder, Akeem Fraser, Claudius Butts, Patrick King, Ronald Mayers, Avery Corbin, Lancelot Adonis, Rickford Cummings, Ryan Gonsalves and Phibian Joseph. Guyana and Mexico earned their spots at the Pan Am Championships after finishing first and second at last year’s NACRA 7s Championships.